When you think of countries with high-speed rail, Romania isn’t one that comes to mind. However earlier this year a Romanian rolling stock manufacturer called Softronic released their newest electric multiple unit – the “Hyperion”. “Hyperion” is an electric multiple unit train, with four carriages joined by articulated sections and Jacobs bogies. Inside the train can seat between 150 and 188 passengers, with each saloon having a drop center for easy access from low level station platforms. The train can operate across different European rail networks due to the dual-voltage (3kV DC and 25kV 50Hz AC) capability, a pantograph on the roof at each end, and four 430 kW rated traction motors across two powered bogies generating a total output of 1.72 MW. 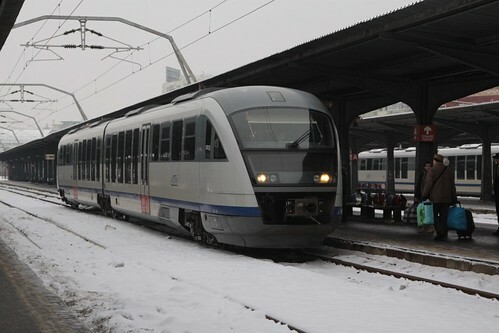 During testing between Făurei and Buzău the Hyperion prototype reached a speed of 176 km/h, with the production trains to be offered in two speed capabilities – 160 km/h and 200 km/h. Footage of the test runs can be found on YouTube – I just love the aerial panning shots! Sure – a train doing ‘just’ 200 km/h isn’t very fast by world standards, but seeing a new rolling stock manufacturer enter the high-speed rail market is something that doesn’t happen every day. Romania has a long history of locally built railway locomotives, which followed the rapid industrialisation of the country following the establishment of the Communist republic in 1947. 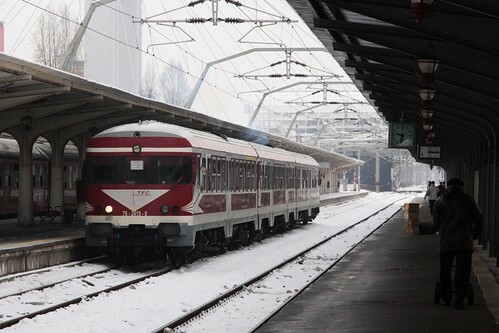 Electroputere was the main beneficiary, who built thousands of electric and diesel locomotives for Căile Ferate Române, the Romanian state railway operator. 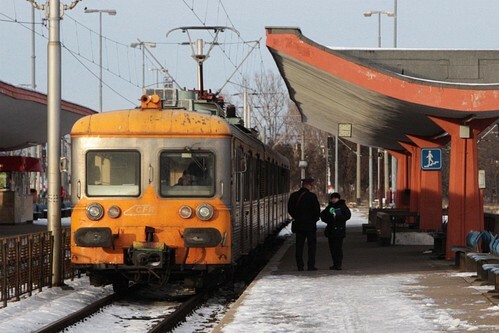 Electric multiple unit trains have never been popular in Romania, with only one class in service – the CFR Class 58, which are former SNCF Class Z 6100 units purchased second-hand from France in 2006. Further examples of purchasing second-hand trains from Western European countries can be found in the DMU fleet, such as these Class 76 units – former DB Class VT 24 (class 634) trains purchased in 2010. More decent purchases have been of new rolling stock, such as the CFR Class 96, which are off the shelf Siemens Desiro Classic units. Softronic, the builder of the “Hyperion” train, is based in the Romanian city of Craiova and was founded in 1999. 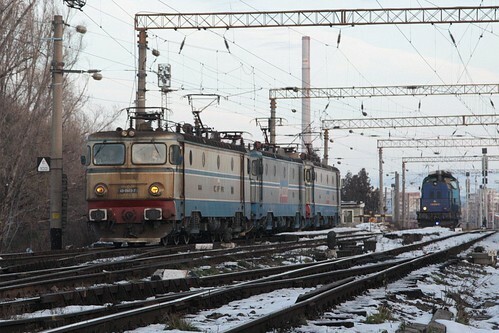 Their initial projects involved the rebuilding of elderly locomotives, until 2009 when the released the first locally built model of electric locomotive in Romania since the fall of Communism – the 5100kW “Phoenix“. The backing track for the second video is by electronic artist Stephen Swartz – titled Bullet Train (feat. Joni Fatora). This entry was posted in Trains and tagged electric multiple units, high-speed rail, Romania. Bookmark the permalink.